What is the Artificial Intelligence ChatBot Technology? What is the AI Chatbot? An artificial intelligence chatbot is a computer program which is designed with a purpose to simulate a conversation with human users, especially over the Internet. It is also known as a talkbot, chatterbot, Bot, chatterbox, which conducts a conversation via auditory or textual methods. These programs are often developed to convincingly determine how a human would behave as a conversational entity, thereby passing the Turing test. Artificial Intelligence chatbots are typically used in dialog systems for various practical purposes including customer service and information acquisition by the users. 1. Weather bot: Gets the information about the weather at any moment. 2. Scheduling bot: It schedules a meeting with someone on the Messenger team at Facebook. 3. Life advice bot: You can share your problems with it and it helps you think of some solutions. 4. Grocery bot: It helps you in picking out and ordering groceries for the week. 5. Newsbot: Ask it to notify you whenever something interesting happens. 6. Personal finance bot: It helps you manage your money in a better way. 7. A bot that’s your friend: In China, over 20 million people converse with a bot called Xiaoice, built by Microsoft. What is the AI Chatbot for? ● Sends relevant content about the topics you’re interested in: Bots can help you get information about latest happenings around you as soon as they are published. An example of such bots is TechCrunch bot. ● Revive social connections: Such bots could help people connect to someone they have been looking for, with whom they can converse based on factors like common interests or proximity. ● Acts as a concierge: A number of bots may provide you with different services, but you can have only one bot which can perform all the tasks that are needed to be done instead of having individual chatbots for different tasks. ● Develop games providing rich content support: GameBot is Telegram’s in-app gaming platform which is an artificial intelligence bot that can provide HTML5 content support. Another bot named Gamee lets you play the best arcades and puzzles directly in Telegram. An artificial intelligence chatbot works like that of a help desk manned by a human being. The client initiates a conversation, and questions are asked to which the chatbot responds just like a human would provide an appropriate and satisfying answer to the query of the client. There are two variants of chatbots out of which one works on the basis of a set of rules, and the other one uses machine learning and it is the more advanced version of chatbots. ● Rule-based chat bots: chatbots that can respond to specific commands. ● Artificial intelligence: chatbots that respond to natural language. Let’s discuss how AI Chatbots work? A chatbot is a form of artificial intelligence (AI) that operates within a defined set of rules and parameters. Chatbots that function on structured questions and answers are less complex since they have a smaller knowledge base and skill set, and can only provide the correct output to specific instructions. ● Rule-based chat bots maintain a repository of predefined responses and implement some kind of heuristic to choose an appropriate response based on the input and context. A simple illustration of this might be a chatbot that notifies you about the latest happenings around you. A user might ask “what is the current status of the Cricket match and what is the score at the moment?” and the chatbot would immediately find the answer and respond. This kind of artificial intelligence chatbot is only as smart as the developers who have created it and thought of every contingency of the conversation that may happen between the client and the chatbot. ● Artificial Intelligence chatbots are typically based on Machine Translation Techniques and are capable of computing user input, understanding the intent, then constructing the most accurate answer before sending it to the user. This type of artificial intelligence chatbot learns from all the conversations it has had to improve accuracy and understanding over the time. How does the Chatbot API work? Artificial Intelligence chatbots are changing the way companies, and websites deal with their clients. Constant connectivity and expeditious response time are few of the factors which make them a spectacular way to expand and enrich the functionality of web applications as well as mobile applications. Ever wondered what makes a chatbot divergent from the typical web and mobile applications and how they use Natural Language Processing to turn human language into commands that can be understood by an application? How does the Chatbot technology could help your business? Chatbots are helpful in numerous ways such as automating interactions with clients, performing given tasks and reaching the audience throughout the globe. In the current arena, the consumers need a business to be available 24*7 to facilitate instant responses to the queries of the user. Maintaining availability has become easy using artificial intelligence chatbots that unlike humans, never get tired and continue doing tasks that are given to them without requiring to take a break and allow a business to be available and reachable 24*7. This results in improved customer satisfaction and reliability of your business. These artificial intelligence chatbots are useful in providing better interaction and services to the client along with a good experience in shopping which consumes less time and is very comfortable for the users. Developers are currently developing bots for e-commerce. 1–800-Flowers.com, Inc. is a floral and gourmet foods gift retailer which helps you find gifts and sends presents and flowers. Casper is a new bot which can hold conversations with people still awake in the wee hours. For facilitating a rapid, methodical flow of information between doctors and their patients an AI-powered conversational bot called Melody was developed. It takes information from the patients, reverts to their queries and gives feedback to the real life doctors. HealthTap is the first medical platform on Facebook Messenger that allows you to talk to a doctor instantly. Chatbots keep information about weight or age guidelines, keep the parents informed about their child’s physical and health state. Nowadays, business organizations use chatbots to attract clients and make them feel more satisfied so as to make their experience infallible and up-to-date. Also, a SaaS metric bot can help clients understand the state of their project at the moment, evaluate and explain the data. Experts predict that a bot will help in creating another bot for business goals. Bot Pegg is known to be world’s first accounting chatbot. It is somewhat like a smart assistant that helps you with finances. Although, Pegg is still not capable of substituting the existing accounting software and is not really useful for commercial purposes for everyone. For the freelancers, it will prove to be a valuable source just like the other accounting tools and utilities. A project booking bot supports entrepreneurs in participating in new meetings and delivers additional information such as pricing. 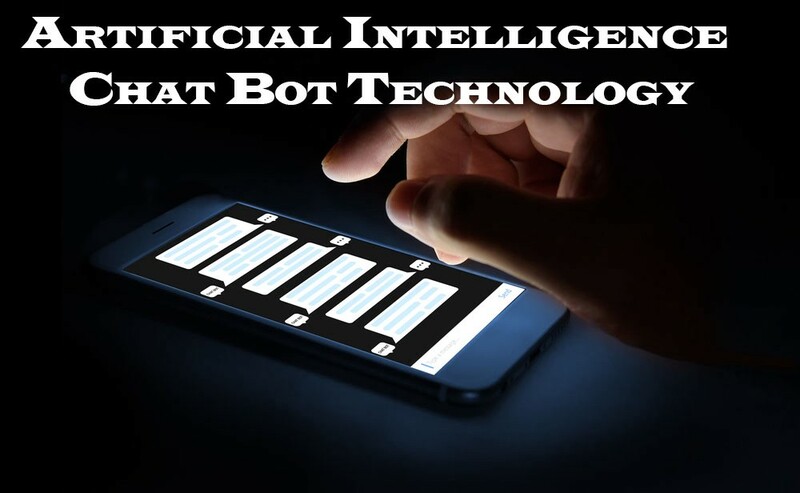 Chatbots are widely used in dialog systems to converse with humans so as to provide customer service and information acquisition, conducting the conversation via auditory or textual methods.